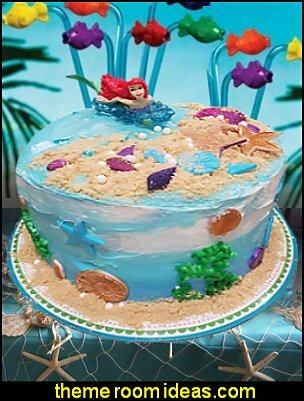 Dive into the magical deep blue sea and explore the enchanted world of mermaids, filled with glittery, shiny, and sparkly sunken pirate treasures with colorful coral reefs, as you frolic with friendly sea creatures and admire the starfish on the sandy beach ...,. or ...... just party under the sea! 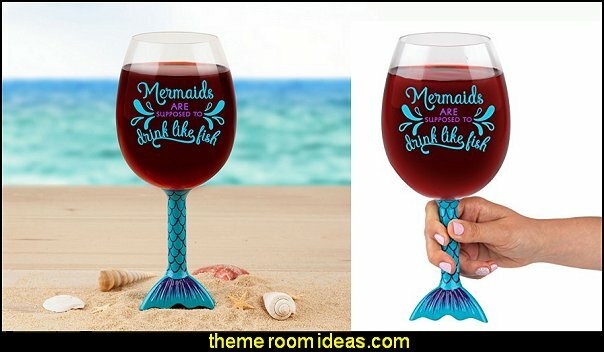 Large wine glass isn’t quite a fishbowl - but almost! 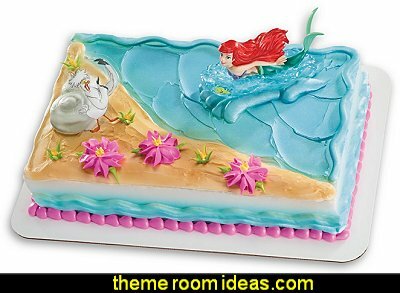 Get a laugh out of your mermaid-loving friends. 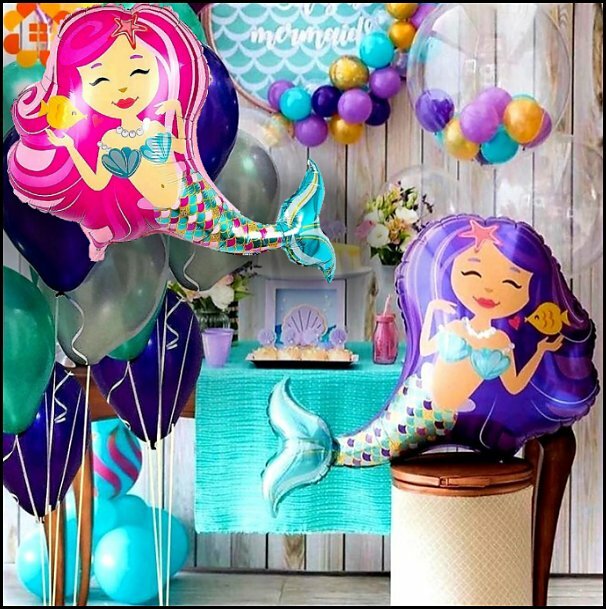 Surprise your mermaid with the perfect birthday or holiday gift! Fille the inside of the treasure chest with newspaper and hot glue gold coins, jewels, shells and mardi gras beads, with dashes of glitter to complete the look. Great for table display - The Paper Treasure Chest looks like a real treasure chest. 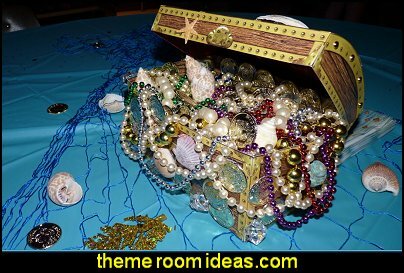 This 8 inch long x 5 1/2 inch wide cardstock treasure chest is a great decoration and can add fun to your party. 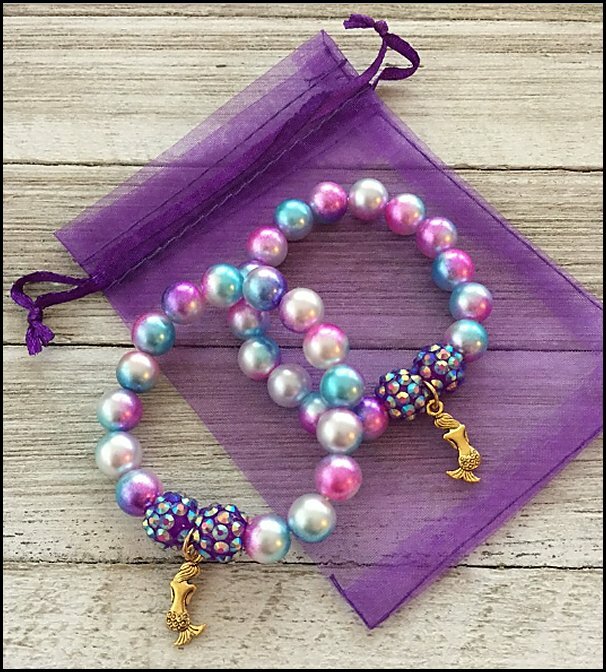 Use it to hold favors, beads or a long lost treasure! Prop open or leave closed. Easy assembly. 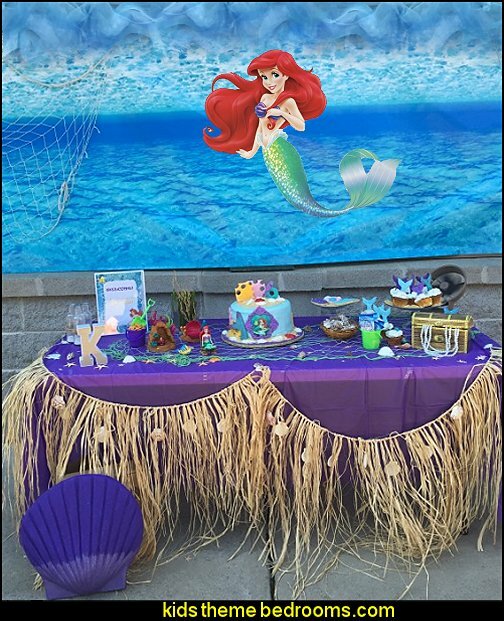 Use the Raffia & Seashell Table Skirt to dress up your luau tables, beach themed buffets, mermaid cake table. 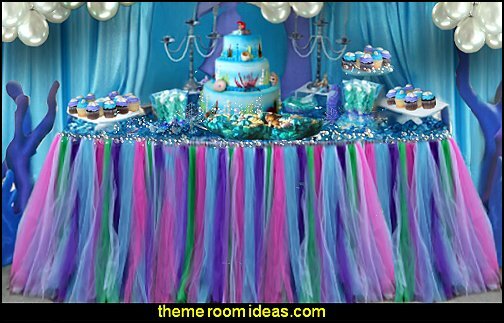 Each 29 inch wide x 108 inch long Raffia & Seashell Table Skirt features natural raffia streamers and variety of seashells. 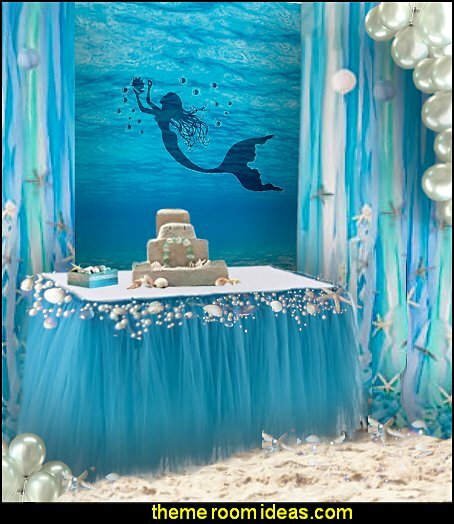 Add a water effect to your under the sea party! 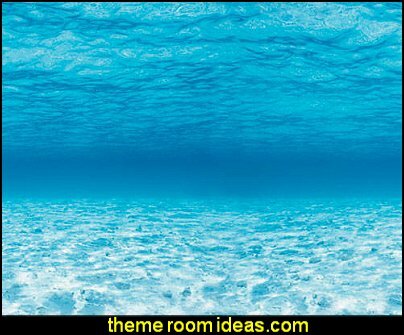 Drape several different ocean colored gossamer fabrics across walls, windows, columns, ceiling, accent tables, chairs, simulate water on the floors. 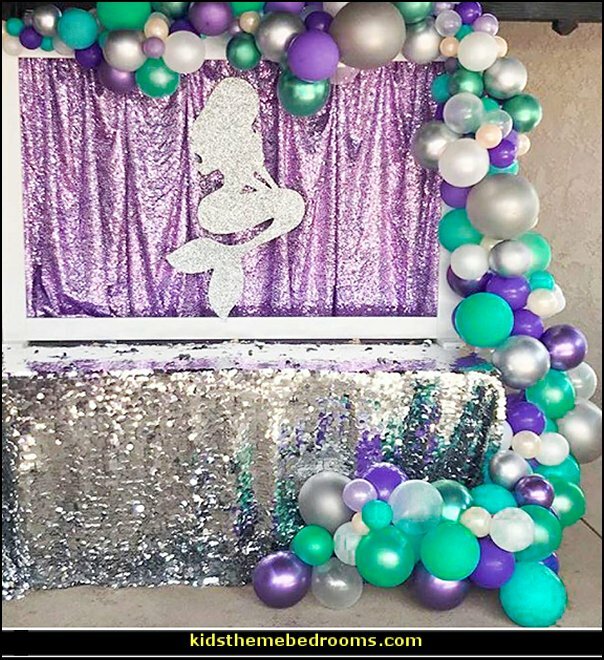 great way to add a special touch to your venue by giving just the right amount of sparkle and shine! 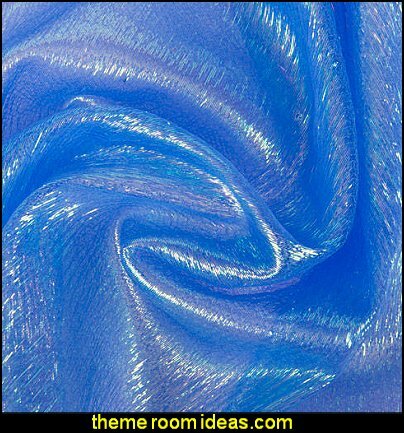 This can be draped from a ceiling, swagged on chairs or to create fabulous bows and accents. 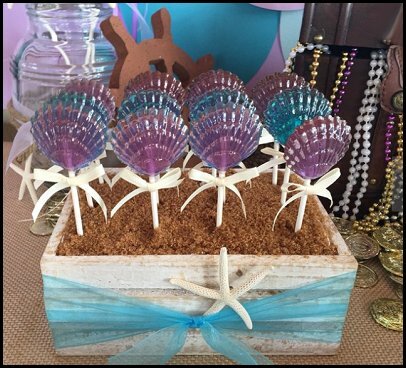 Use as a table runner placed over solid colored tablecloths and accent with a fishnet and scattered seashells and starfish and colored rocks. 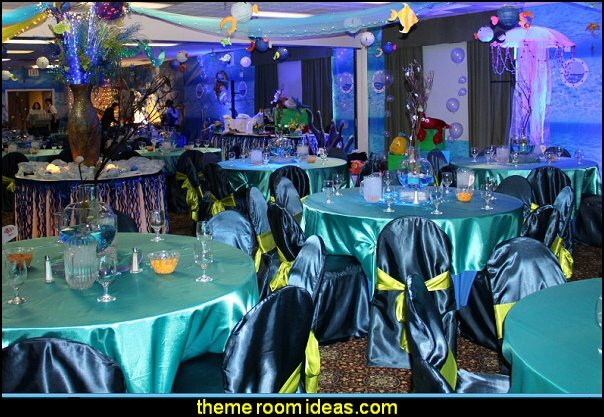 The mats are made of blue and light blue tissue paper to give it a variegated look. They measure 15 inches by 30 inches. 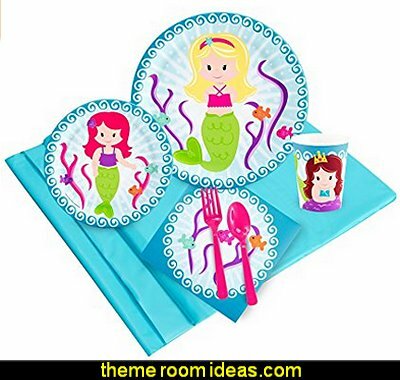 Use these tissue mats to decorate for many occasions including Luau, Nautical and Under The Sea themes! 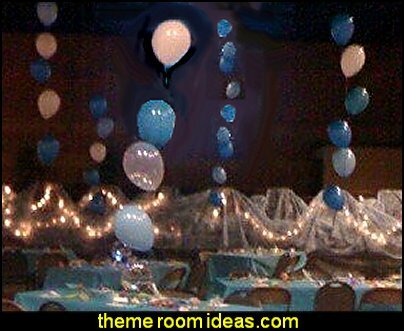 Create a fabulous centerpiece or balloon bouquet by simply adding coordinating latex balloons, curling ribbon and a balloon weight. 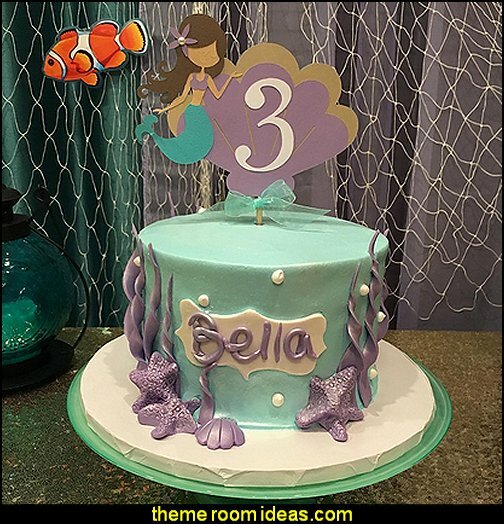 Mermaid Princess 3D Castle has the look of a sand castle under the sea with seashell accents and more. 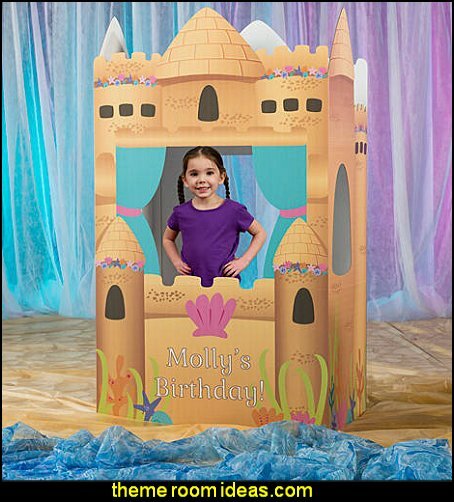 Each Mermaid Princess Personalized Castle measures 6 feet 8 inches high x 3 feet 9 inches wide x 2 feet deep while being printed on cardboard. 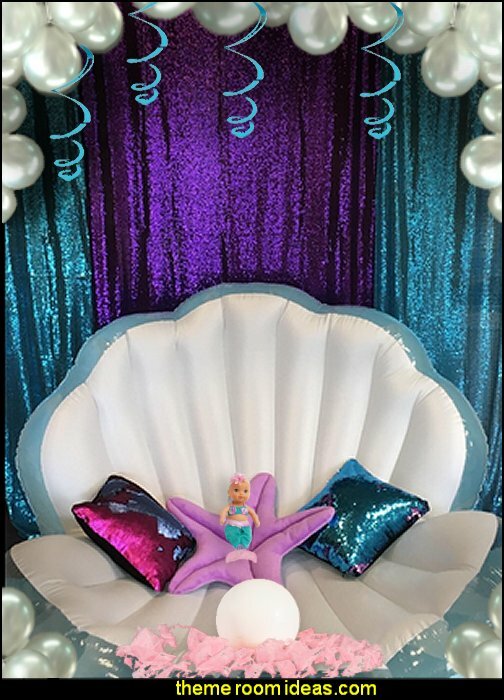 The Mermaid Princess 3D Castle will make a great photo op at your daughters mermaid themed birthday party. Easy assembly. 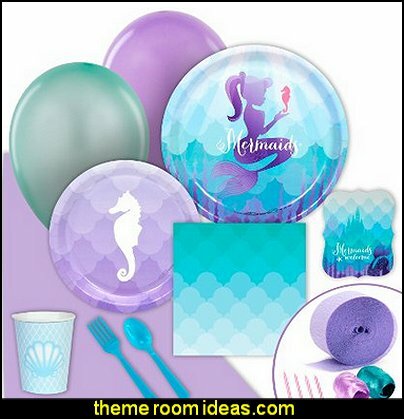 Have a birthday party worthy of under the sea royalty with our Mermaid Princess Party Supplies. 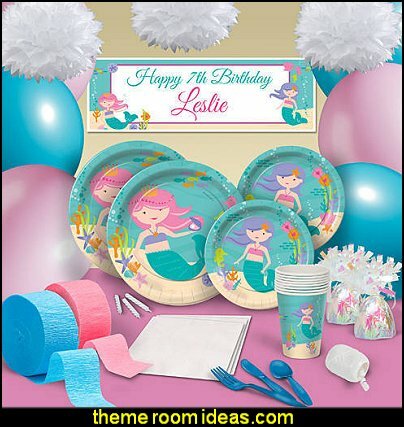 The Mermaid Princess Party Supplies feature a pair of mermaids with their pink and purple hair flowing in the teal water. 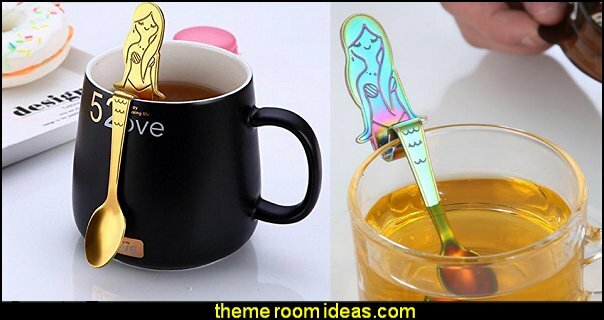 Select from personalized or non-personalized plates and cups. 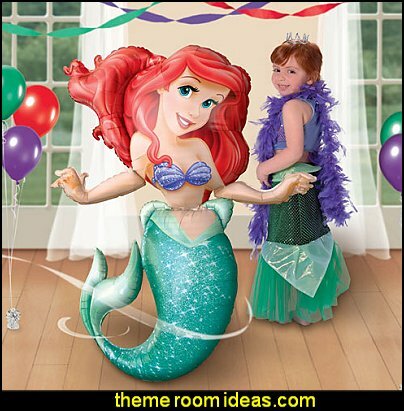 Make planning your birthday party easy with our Mermaid Princess Party Packs. 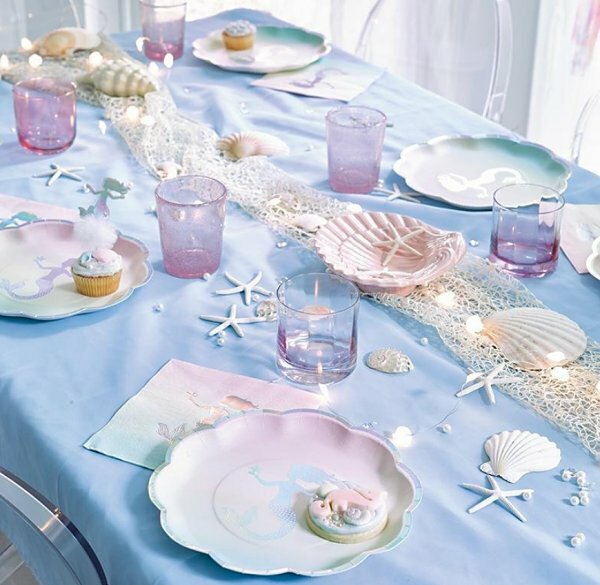 All you need to do is choose from basic, deluxe and ultimate with each one including tableware for eight and fun and colorful decorations. 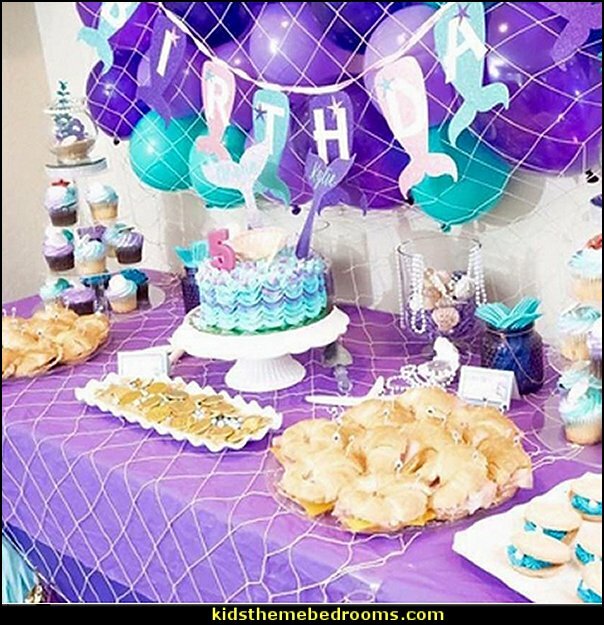 Mix and match our coordinating favors, decorations, activities and cake supplies with our Mermaid Princess Party Supplies. Set of 24 pieces, each set contains 4 patterns. 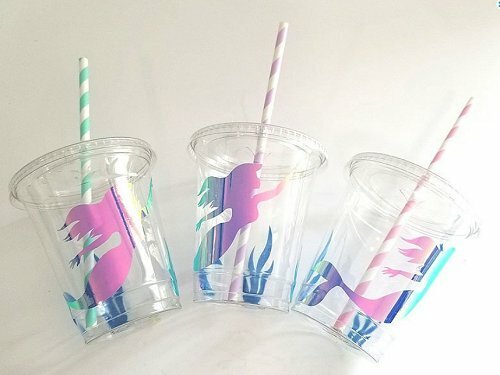 The mermaid couple, the sea horse, the jellyfish. Each patterns contains 6 pieces. 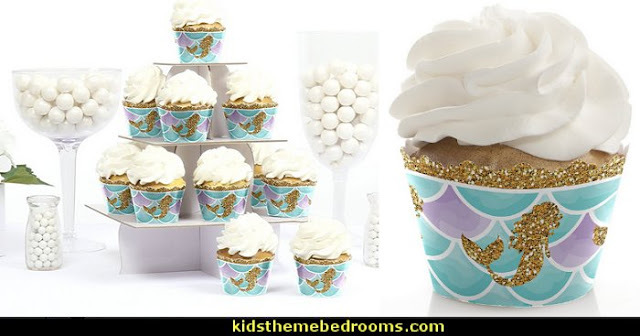 These are not to bake in, they are to wrap around a finished cupcake for perfect party decorations. **Please note, this is faux glitter - it's printed to look like glitter, but it is not real glitter. 38" x 53", Giant shaped foil balloon appears to magically float on air. Great play factor. 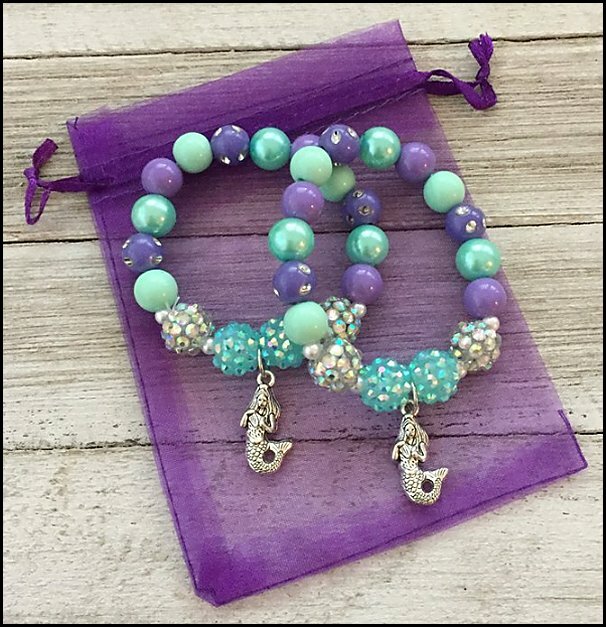 cute beaded bracelet with metal charm. 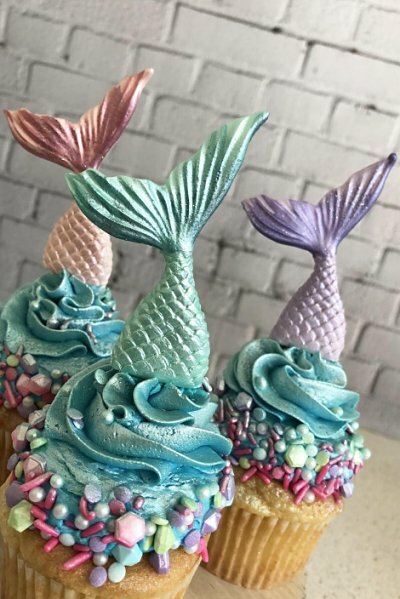 It's perfect for a Mermaid themed party and would make perfect party favors. 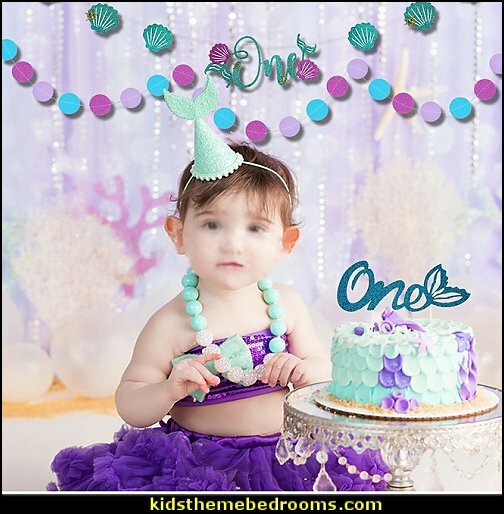 Oyster Shell Prop is perfect for any Under the Sea Party. 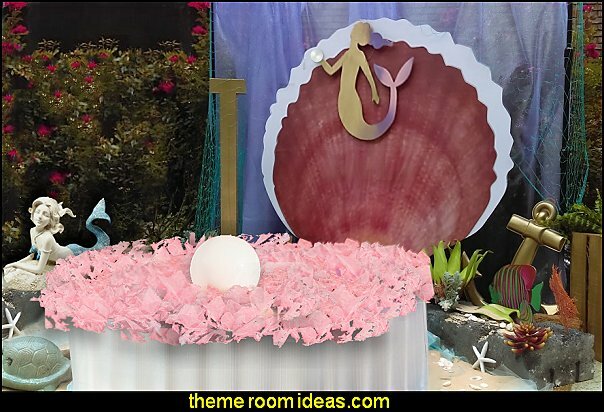 Each of the cardboard oyster shell decorations features pink gossamer and a 3 foot white balloon for a pearl nestled in the giant shell. The Oyster Shell Prop measures over 5 feet high x 4 feet wide x 4 feet deep. Assembly required. 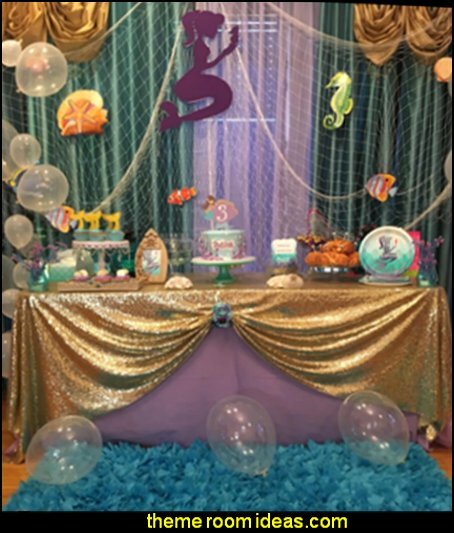 Atlantis Seahorse Gate 8 feet 6 inch high x 10 feet wide free-standing. Seahorse Gate is made of cardboard and is printed on one side only. 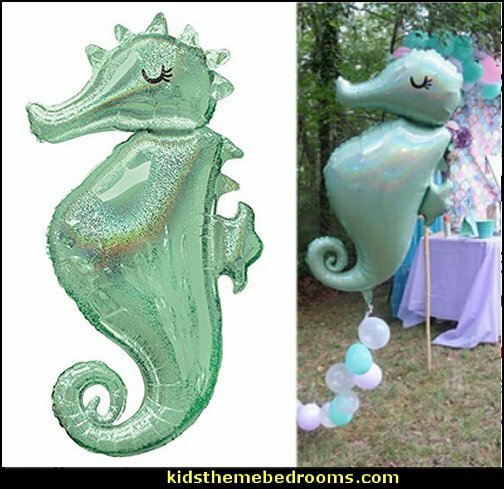 Use this Atlantis Seahorse Gate as a great photo op for your under the sea party. Assembly required. 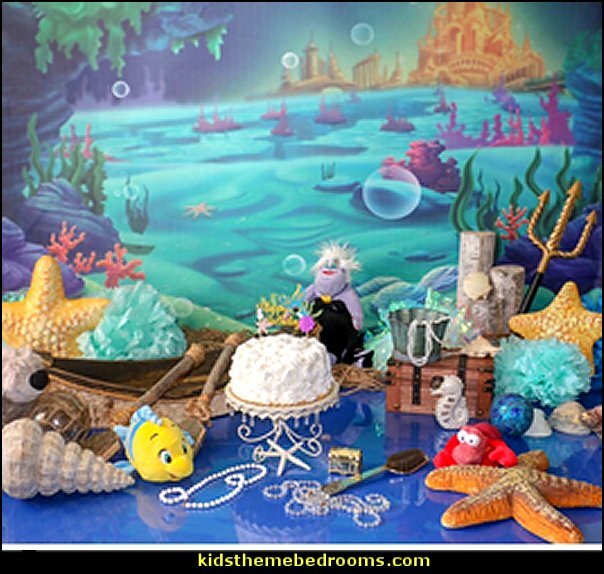 Depths of Forever Coral Each Depths of Forever Coral measures 3 feet 10 inches high x 3 feet 4 inches wide. Includes one coral bunch. Easy assembly. 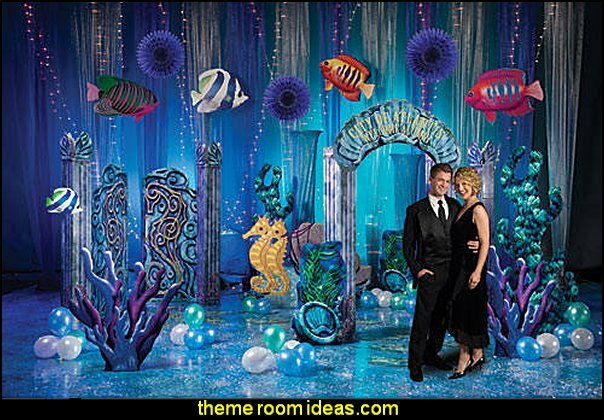 Personalized Atlantis Seashell Entrance Each Atlantis Sea Shell Entrance measures 10 feet high x 7 feet wide and is printed on cardboard. 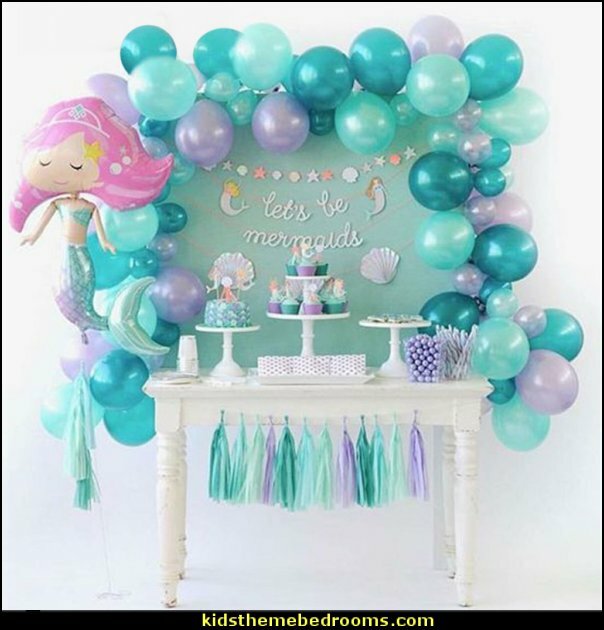 Turn your under the sea party to the city of Atlantis with this Atlantis Sea Shell Entrance. Assembly required. Light Blue Sequin Column The Light Blue Holographic Sequin Column features a light blue stretch fabric covered in holographic sequins. Our Light Blue Column frame is made of metal and measures 8 feet high x 2 feet in diameter. Assembly required. Lights not included. 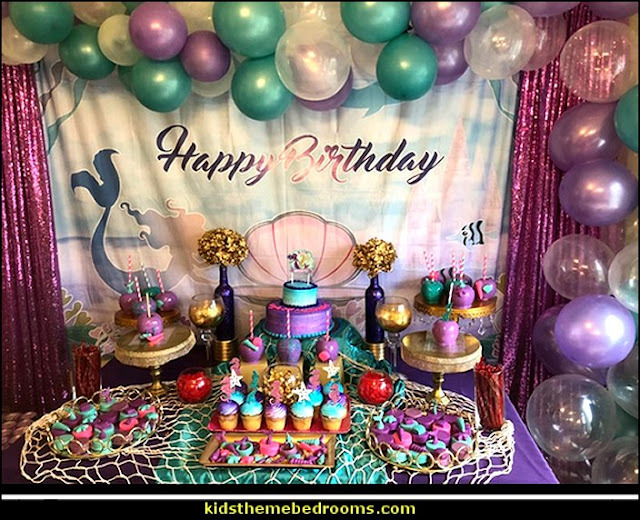 Atlantis Seahorse Chariot Stand In Each Seahorse Chariot Stand In measures 4 feet 10 inches high x 7 feet wide and is free-standing and printed on one side. Easy assembly. Atlantis Seaweed Standees Each cardboard Seaweed Standee measures 3 feet 10 inches high x 2 feet 2 inches wide and is free-standing. Easy assembly. Atlantis Seashell Column This beautiful Atlantis Seashell Column is printed in blue, green and purple with accents of seahorses on each side at the bottom. 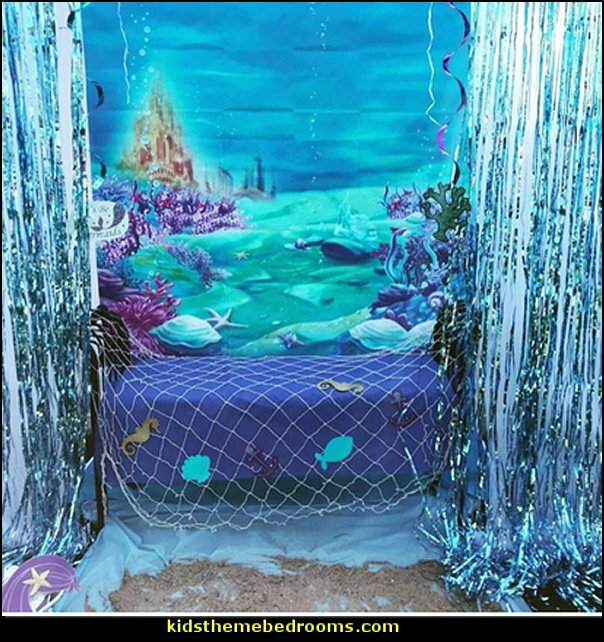 This cardboard Under the Sea Atlantis Column measures 8 feet 6 inches high x 1 foot wide. Easy assembly. 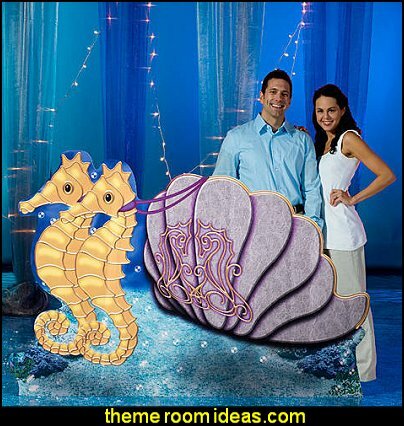 Seashell Cutout The Sea Shell Cutout Set includes a set of six cardboard sea shells. Each Sea Shell measures 20 inches high x 23 inches wide. 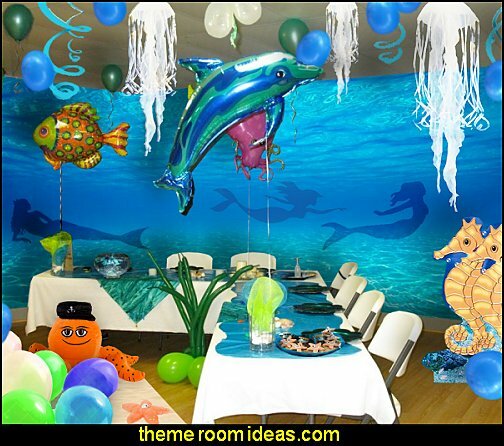 Set up as props for your tropical theme event for a realistic feel. printed on sturdy cardboard and is one sided. 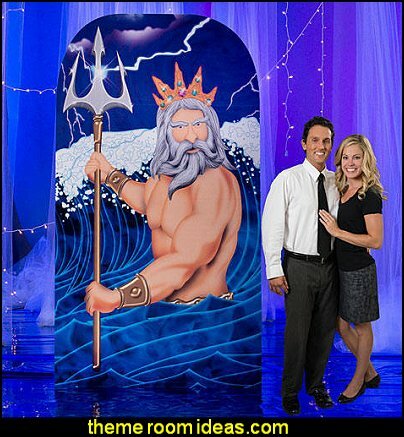 The Poseidon and Trident Statue Standee is 8 feet 6 inches high and 4feet 8 inches wide. Easy Assembly. 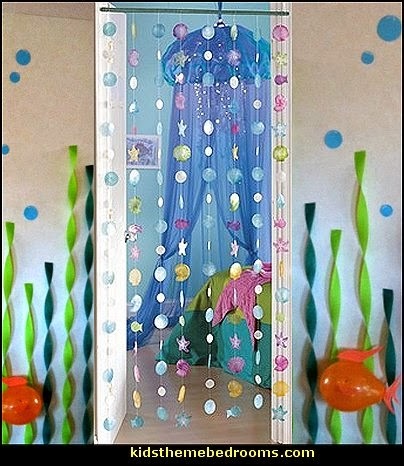 Ocean Blue Fish Each of the large tropical fish cutouts measures 2 feet 6 inches high x 3 feet 5 inches wide. 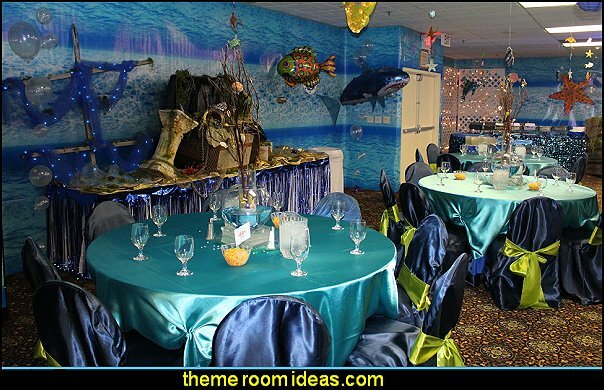 The one-sided Large Ocean Blue Fish Set can be hung from ceilings or attached to walls. 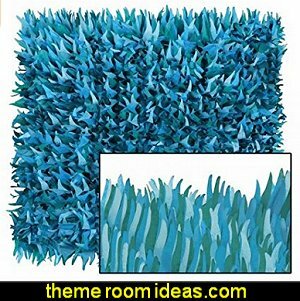 Ocean Blue Small Seaweed Each of the one-sided small blue seaweed props is made from sturdy cardboard and measures approximately 7 feet high x 3 feet wide. 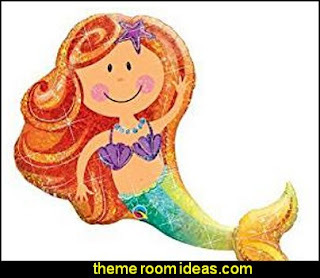 The free-standing Small Blue Seaweed Standee is an Under the Sea or Ocean Theme Party must have. Easy assembly. 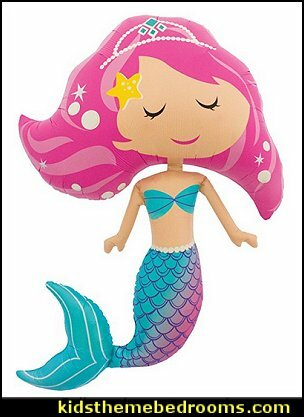 Small Ocean Blue Fish Each of the cardboard small tropical fish features an assortment of brightly colored salt water fish that measure approximately 1 foot 2 inches high x 1 foot 6 inches wide. The one-sided Small Ocean Blue Fish Set are sold in sets of 10.